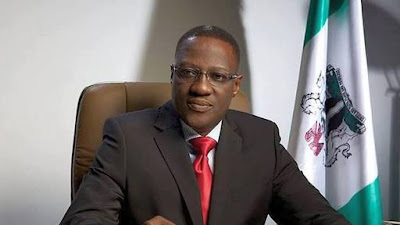 Kwara State Governor, Dr Abdulfatah Ahmed has reiterated the need for the All Progressives Congress (APC) members in the state to close ranks and work together in unison for the progress of the party and the future of its members. The Governor, in a statement by his Chief Press Secretary, Abdulwahab Oba, urged party faithful and supporters from across the state to remain calm and maintain their support for the party. He said the outcome of the last Saturday's APC Local government congresses in the state further reflected the capacity of the party as a formidable platform for good governance in the state. The Governor emphasised that the loyalty of APC members to the party structure is very key for overall development and growth of individuals and the state at large. Gov Ahmed also warned members of the party against anti party activities for extraneous or personal reasons which could impact negatively on the party. "Every one must eschew bitterness, individualism and extremism. We must remain united", the governor said. According to the Governor, "The APC remains a single and formidable entity in the state. So, member must not succumb to any agent of destabilization in whatever guise". Governor Ahmed added that the structure is conscious of individual and general interests, advising party faithful not to allow themselves to be discouraged by the attitude of black sheeps within the party who are hellbent in causing confusion.